Convert your leftover current Romanian Lei banknotes to cash using our hassle-free online exchange service. Get paid fast for your unused currency from Romania. 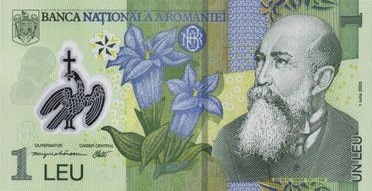 In 2005 the Romanian Leu was redenominated. The Fourth (new) Leu (RON) replaced the Third (old) Leu (ROL) at a rate of 10,000 old Lei to 1 new Leu. 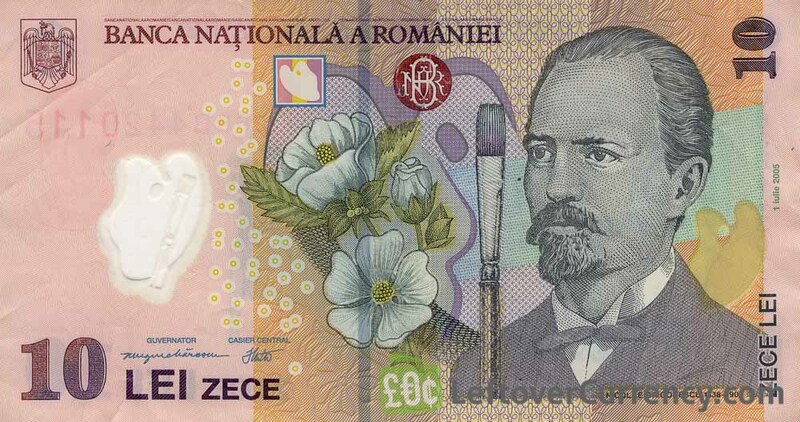 Issued by the Bucharest-based National Bank of Romania, the Lei banknotes in use today are printed on polymer plastic. 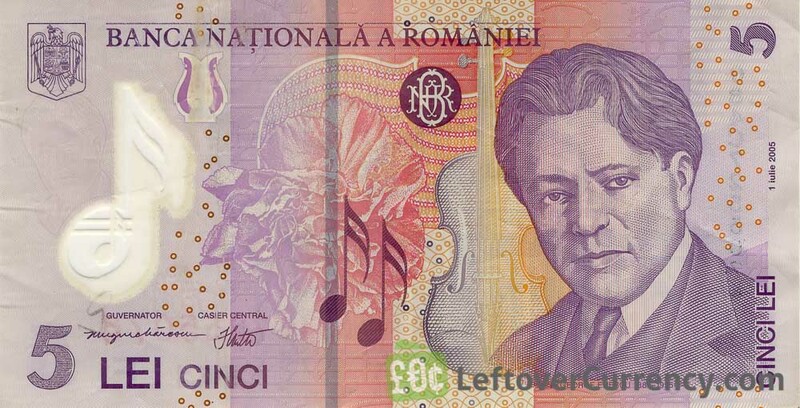 We exchange these modern Romanian Lei notes free of charge. 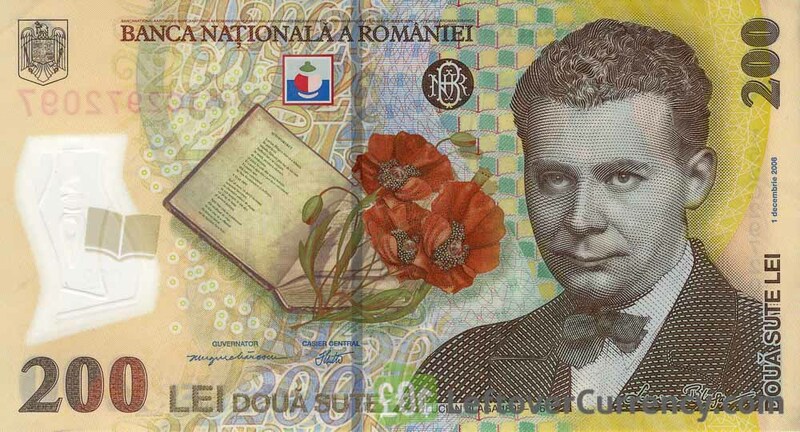 We also give cash for Old Romanian Lei banknotes. 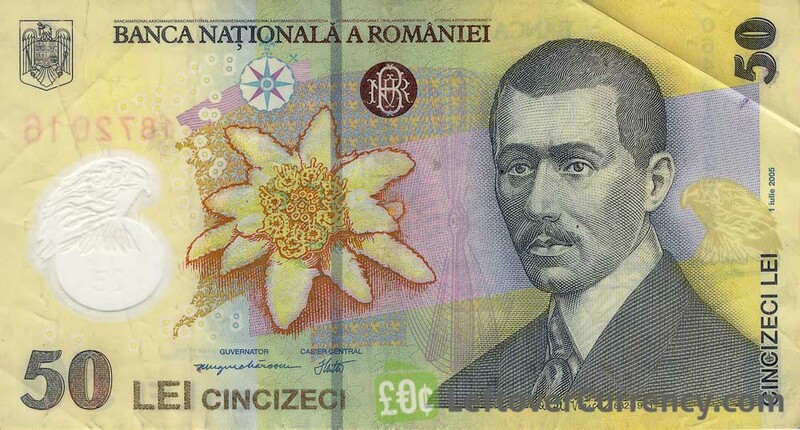 Do you have current Romanian Lei banknotes like the ones in the pictures below? Add the amount you want to exchange to your Wallet. You'll see exactly how much money you'll get for your Romanian Lei. Click on the Wallet symbol to complete checkout and get paid within 5 days of receiving your currencies. 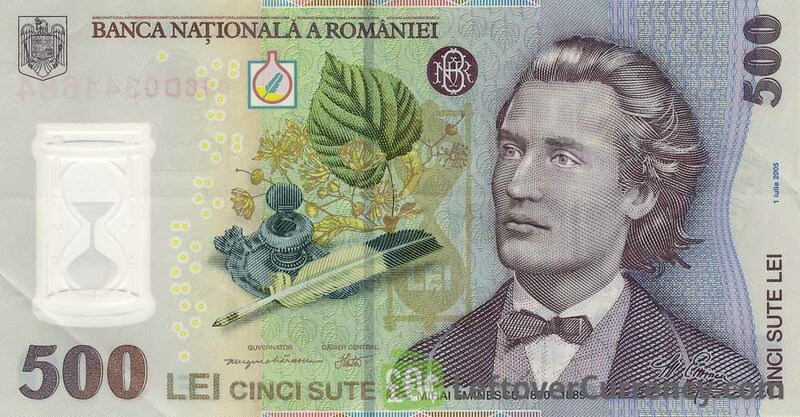 This cincizeci lei banknote features the Romanian engineer Aurel Vlaicu. On the polymer plastic note a caption reads ‘Banca Nationala A Romaniei’.